My friend Murray and I were talking on the way to the airport about this time last week. It was an early 4.30am drive, the freeway quiet, the orange glow of hot air balloons gently bobbing above the city like chinese lanterns. The stretch of time laid out like the open road before us. One uninterrupted hour with an old friend, conditions to incite the type of flow in conversations where one idea bounces easily to the next. The exhilaration of having a fresh, meaningful conversation wasn’t something I used to think about. Definitely wasn’t something which motivated me to write it down and describe it. Yet now, here it is. After two weeks in Melbourne, the town I grew up in, I was heading back to New York, my home for the past two years. Murray waved goodbye. Until the next time we were face-to-face, we typically would piece together each other’s lives through Facebook, buoy our friendship through likes of baby pictures and Brooklyn, and scrawl quick messages on the social network’s walls. That’s when I decided it was time for me to deactivate. Sounds so dramatic. Not really, and not like it was anything new or progressive, friends had dropped out of the Facebook world a few years back, blogs have been written, books even, people coming to this point a lot earlier than I did. The creeping desire to deactivate Facebook (and it was a slow, creeping feeling) was not just because I felt it had robbed me of the commune of real conversation. It wasn’t Facebook’s fault I didn’t pick up a phone to maintain a friendship between visits home. That was on me. Facebook has had a profound effect on my desire to engage in these moments of genuine friendship when there was an “easier” option. Troubling as that behaviour was, it was the general (mental) space invasion of a social network I’d never anticipated that really put ants in my pants. When faced with an “empty” moment like riding the subway, laying in bed, sitting on the toilet (yes, really and true for 86% of the population), even walking down the street, it had started to seem unproductive if I didn’t do something else. Distraction is the new normal state of being. Giving my undivided attention to someone, including my own mind wasn’t enough. These empty spaces of time and thought now wanted to be filled! The perfect oxygen for Facebook. Basically over the past year I noticed my ability to turn over ideas, to wander alone and together in conversation, particularly deeply, has been impaired. And worse, I didn’t really care. This is my first blog post in over a year. A slightly awkward ramble but it is another reminder of how I’ve become a digital sloth. While Facebook has been steering me away from making things and connections deeper than likes on pretty photos, the net effect is a divot in personal development. And instead of dissing technology, I’m hoping by switching off for a bit I can better understand how technology like Facebook can lead us back to our real lives instead of away from it. ← Showing up for those you care about. Hearty, sincere and slightly gushing congratulations! You just articulated what I have been thinking and feeling for a while now, except that you have expressed it far better than I. Thanks for posting this Bryony. I have often debated whether to stay on or off but then I think, “how will people contact me, or how will I know what people are up to?.” And although it has kept me connected to folks I have met around the world it also creates an enormous amount of frustration. You have heard me complain about this in the office but I end up just re-reading the most ridiculous statuses that make me question the intelligence of our population. That’s why I love riding the subway where my signal does not work. Gives me an opportunity to look up and notice the most interesting people that roam this city. As Luke mentioned above, I’m interested to hear your feedback on this because I also hope there is a happy medium. Great sharings Bryony, I would say hardly rambly at all ! Would you say that your engagement with Facebook has distracted you from sharing longer, more thought-out blogs in the past year? by giving your team the best tools to improve. There is definitely a push for Tupperware recruiting. for the days of being his better half. pay only for reasonably good matches recog nized by your potential customers. precise approximately my problem. You are incredible! are separate arrangements for lodging. might not be a taboo matter but usually people don’t discuss such topics. rush of the real. 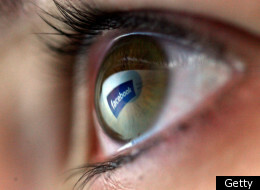 Facebook�s effect on my brain, senses and social ability. | Bryony Cole – Thoughts on the future of work is a little vanilla. Thankfulness to my father who informed me on the topic of this webpage, this blog is actually awesome. the puppy sometime to absorb the training collar is best used on their lives. Here is a must if one thing clear that Vito barks incessantly when he is doing the commands of” NO”. As a reporter, my job is not to define what is ‘best’, nor, for that matter, what is a ‘zoo’. if you listen. Here you will be able to stitch in your floor shot. to fav to check out new things on your site. Setting up your i-phone 3G on the market provides by it a few advantages. It is possible to move into a newer, over all better and faster mobile phone with all the latest Web technology and images, first. even broke iPhone second, it is possible to save money in the act. entire friends and finding a buyer, third. Last but not least, you’ll be helping away the environment. i can suppose you are an expert on this subject. Fine with your permission allow me to seize your feed to keep up to date with impending post. or elaborating on many of the subjects you write in relation to here. take a lot of work? I’m completely new to blogging however I do write in my diary on a daily basis. tender vegetable plants, you do have an alternative for growing your own succulent vegetables, and that is to utilize a grow closet and garden indoors.